Safety film, from Hanita, is a thick invisible film that bonds to glass. It may be specified in clear or in energy saving tinted versions. The Safety film's job is to help hold glass together in the event of a hurricane, storm or explosion. 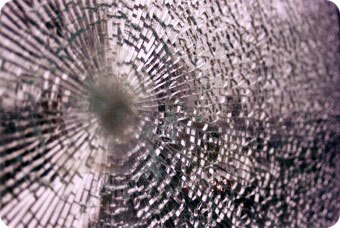 In addition, it can resist a thief's attempt to break glass to gain entry to your home or business. Applying optically-clear film to your glass creates an invisible barrier against bricks, stones and other missiles, protecting people and property, night and day.